The ooey-gooey-slimy insides of a pumpkin aren’t for everyone and so carving a jack-o-lantern just might not be your thing. But does that mean you can’t enjoy Halloween and take advantage of the big, beautiful orange orbs we have all over the market? Absolutely not! Maybe you want to do something different than your tried-and-true triangle-eyes. Or perhaps you’re in an all-out-one-upping with your neighbor. Whatever the reason, we’re here to tell you that there are lots of fun things to do with pumpkins: from painted pumpkins to party coolers, talking pumpkins too! Looking for neat, new deck decor this Halloween? 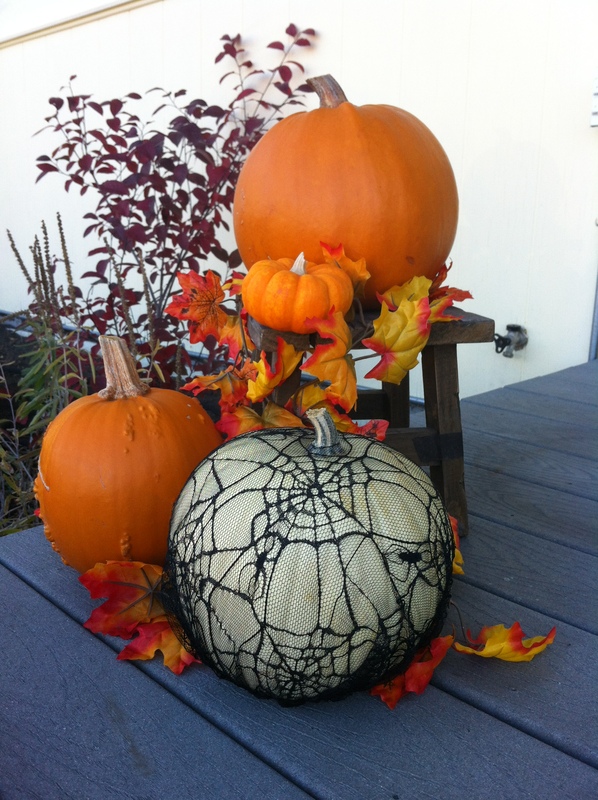 Pop by the dollar store and pick up some black spider lace, wrap it around a pumpkin (we particularly like the black on white for this effect) and voila! A quick (and clean) variation on the carved pumpkin! Or, if you’re looking for something a little more elegant, pick up some spray paint, tape off intricate designs, polka-dots, or spooky messages and save yourself the carving altogether. 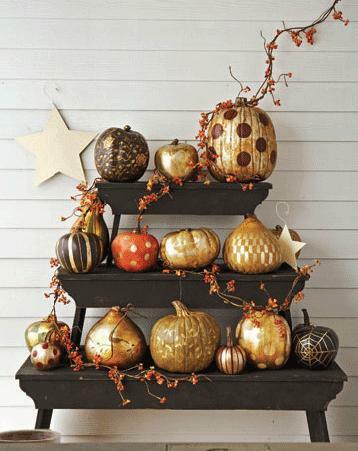 You can even paint the mini pumpkins for festive centerpieces for your devilish dinner party. 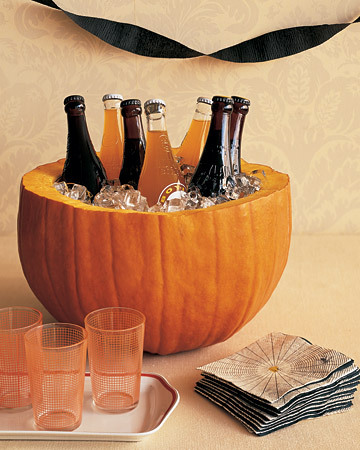 And while you’re in dinner party mode, offer up your ghoulish guests a beverage in an easily-hollowed-out pumpkin for a drink cooler. 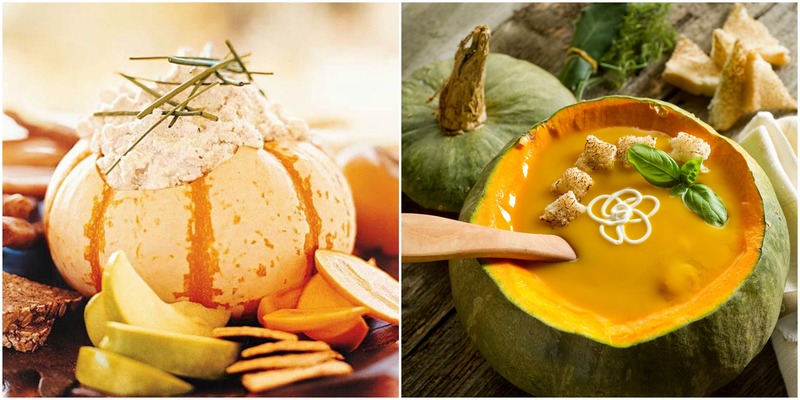 Or hollow out smaller pumpkins to use as bowls or vessels… you can make your party prep even easier by swinging by The Stock and Sauce Co. for all of your dips and soups! And if you’re really in the spooky spirit, place the parents’ unit of a baby monitor inside a carved pumpkin and then speak into the transmitter when your guests arrive. Eeek! Thanksgiving may be our favorite holiday here at the market; it’s the ultimate food holiday and it brings people together over steamy stuffing, a beautiful bird, and the perfect pumpkin pie. We have some pretty incredible products on offer in the days leading up to the holiday weekend, from free-run and organic turkey’s to mini pumpkin mousse desserts and a Pie Bake Off in support of the Calgary Interfaith Food Bank just to name a few. And because we’re always trying to offer our incredible guests something new and delicious, we have an incredible recipe to share with you. Inspired by Smitten Kitchen, we have a easier-than-pie-dough no-can pumpkin tart that is better than the average, run-of-the-mill pumpkin pie, but tasty enough that even pumpkin pie purists will love it. 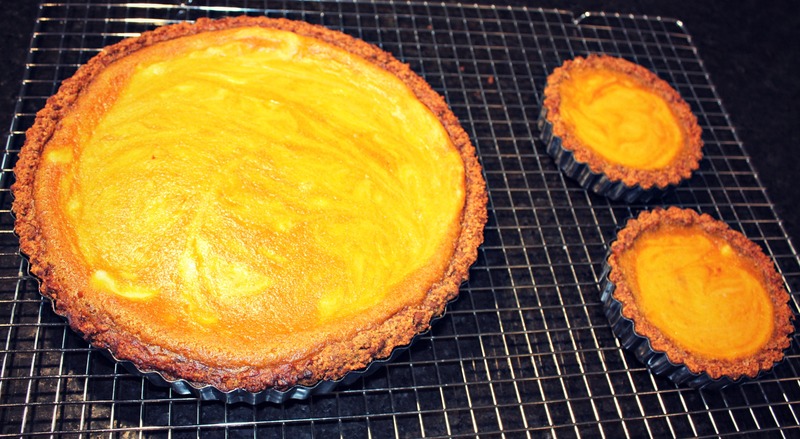 With freshly roasted pumpkin purée, rather than the canned pumpkin, this tart is fresh, vibrant, and yummy to boot. Preheat your oven to 400 degrees. Slice pumpkin in half and remove the seeds and guts. 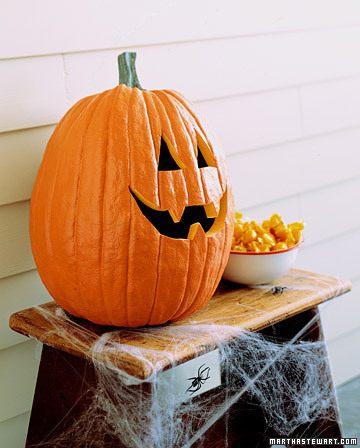 Cut pumpkin into large slivers, rub with olive oil and sprinkle with cinnamon. Roast for approximately 30-45 minutes, or until the pumpkin flesh is soft to the touch. Let cool completely and blitz the flesh in a processor to make the pumpkin purée. Preheat your oven to 425 degrees. Finely grind the molasses ginger cookies and graham crackers in a food processor (you’ll likely need to do the graham and ginger cookies separately). Add the melted butter, and process until the cookie- crumb mixture is moistened. Press the mixture firmly into the bottom and up the sides of a 9- inch- diameter tart pan with removable bottom. Place pan on rimmed baking sheet lined with parchment paper. Mix together the ingredients in a small bowl until smooth. Beat the egg and the egg white lightly in a mixer with sugars, salt, cinnamon, and nutmeg. 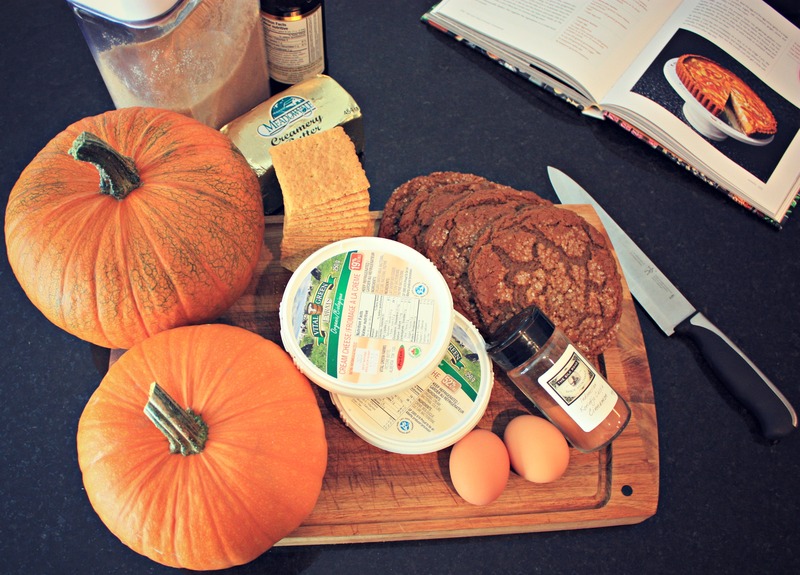 Gradually whisk in the pumpkin and then the crème fraîche. 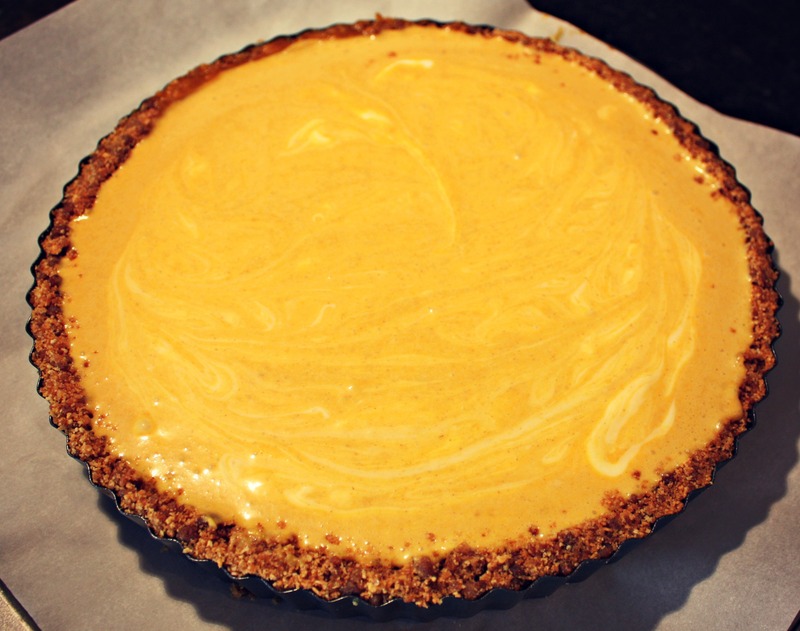 Pour the pumpkin batter into gingersnap-graham crust. Carefully dollop the cheesecake batter over pumpkin batter, then marble the two together decoratively with a knife. Try not to pierce the bottom crust as you do. Bake for 10 minutes, then reduce temperature to 350 degrees and bake for another 40 minutes, or until the puffed up centre doesn’t jiggle freely. Cool the tart completely on a rack. Serve when cool or refrigerate until Thanksgiving dinner when it can be served to prying eyes and full tummies; they’ll make room for this tart, it’s just that good. Theoretically, the leftovers will keep for several days, but the crumb crust will soften on the bottom as times goes by.